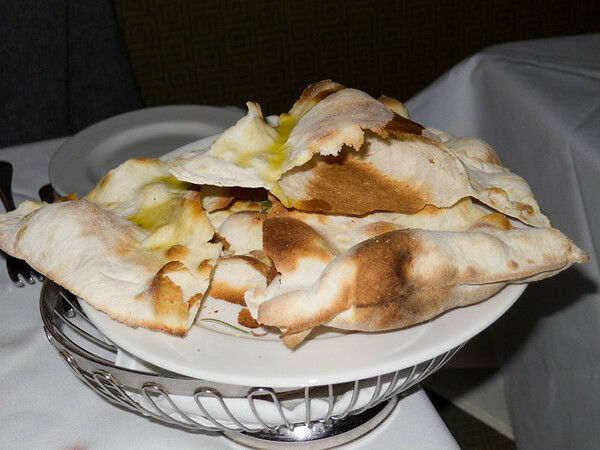 Divino is another of Brentwood’s seemingly endless supply of Italian eateries. I find this one in the upper middle of the pack. It’s pretty good, and very reasonably priced, but not brilliant. The menu can be found here. They have regular bread and this “pizza bread.” This is just pizza dough baked in the pizza oven with no toppings, and then drizzle with olive oil. I do this extensively myself at home during the course of Ultimate Pizza (see here for more). 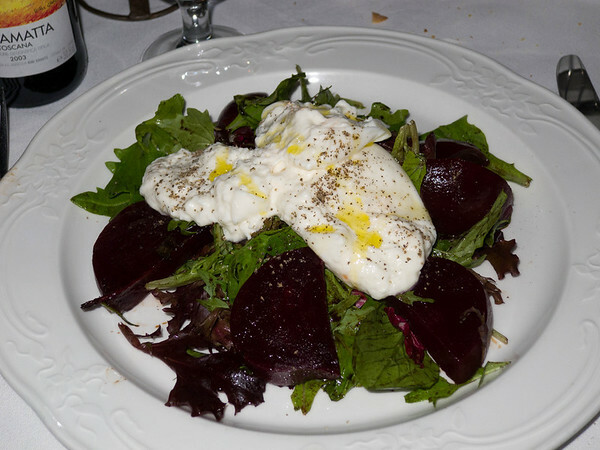 Beet and burrata special. 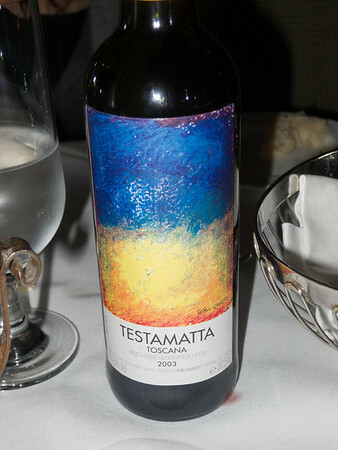 Yes, even after going through two whole tubs of Burrata at home this week (CLICK FOR DETAILS), I ordered this. Nice burrata prep. The cheese was in perfect soft ripeness, and went well with the beets. 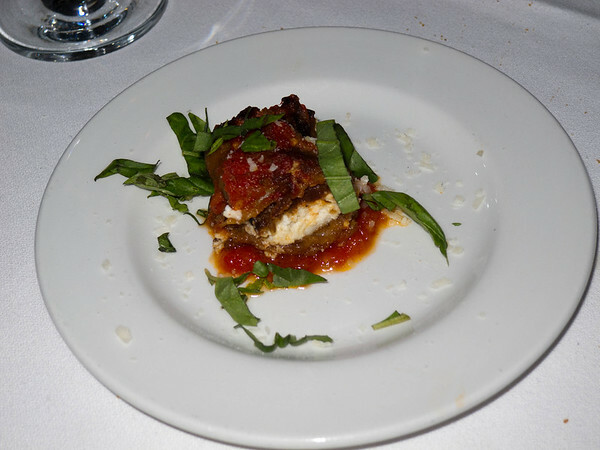 A “free” intermezzo of tomato, goat cheese, and eggplant, with basil. This was tasty. 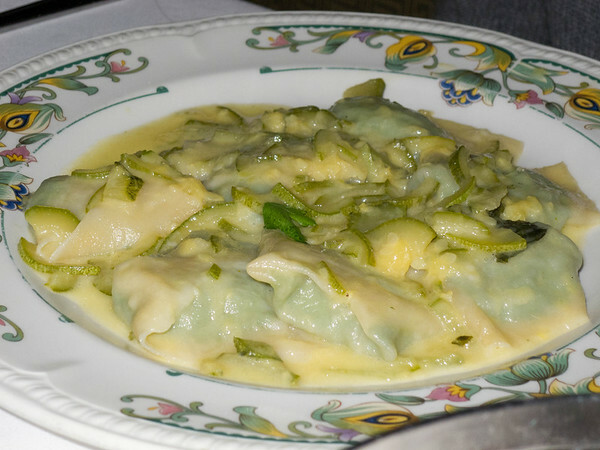 “Ravioli Zucchini. Freshly prepared pasta filled with ricotta cheese & spinach topped with fresh zucchini sauce.” These were perhaps a little mushy, I like my pasta a bit firmer. Another special. 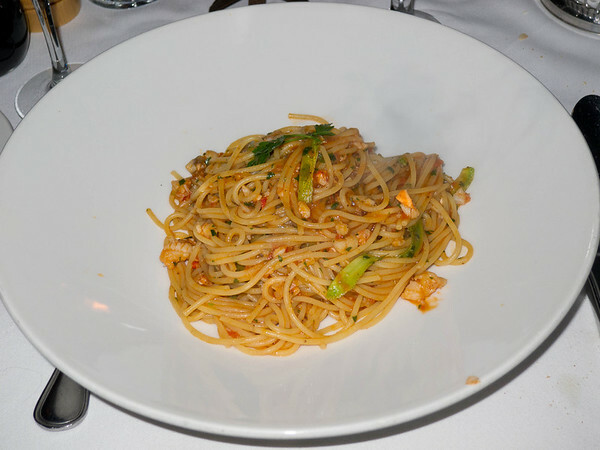 Spaghetti with lobster. Very nice. There was a bit of celery in here that lent this a very slightly asian noodle salad flair. 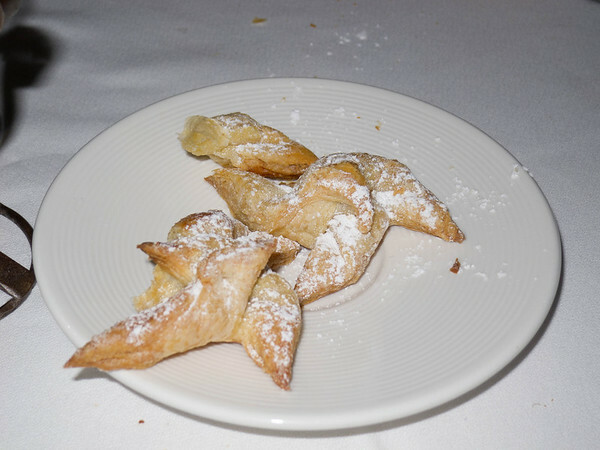 We didn’t order desert, but they gave us for “free” these little Italian cookies. The only sugar was the… sugar. They would have gone well with expresso. All in all Divino does a nice job for the money. They aren’t revolutionary, but the food is solid and reliable, and they are considerably way modern than some of the Italian joints that haven’t changed their decor (or menu) since the 60s. 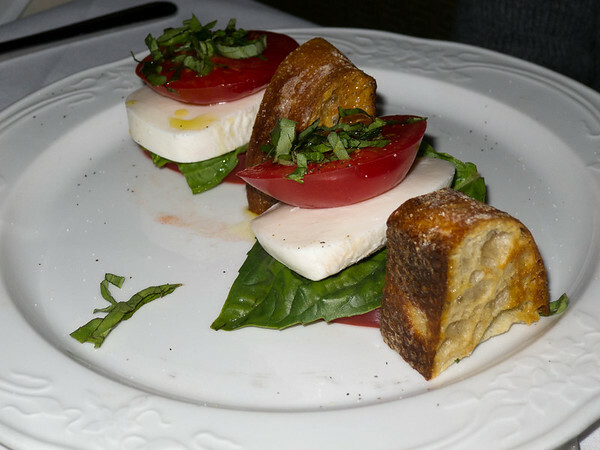 This entry was posted in Food and tagged Burrata, Cook, Dessert, Food, Italian cuisine, Lobster, Mozzarella, Olive oil, pasta, Pizza, Ravioli, Restaurant, side dishes, vegetarian, Wine tasting descriptors, Zucchini.